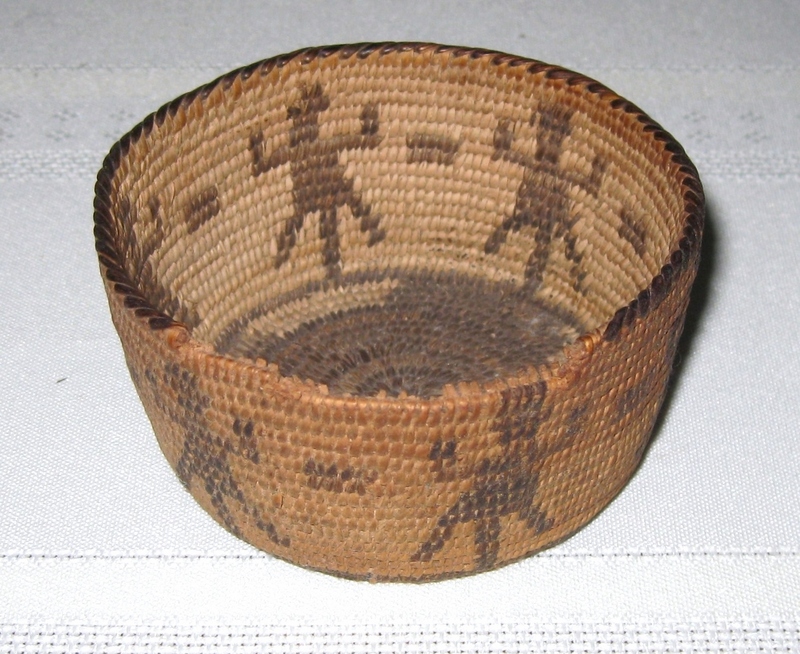 Small Southwest Native American basket with 6 animals. Very tight weave – 3″ diameter, 1 1/2″ high, 1 3/4″ loss along the rim (visible in photo), otherwise very good condition. Probably Apache origin, c. 1900.